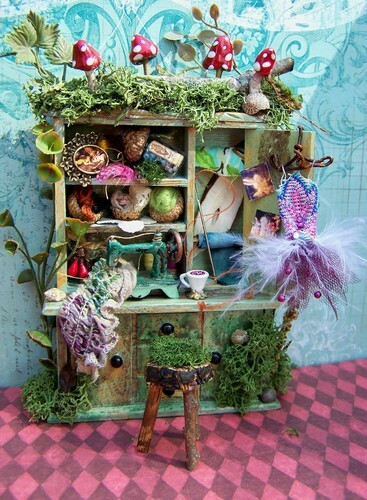 19th día Miniatures Fairy Sewing Notions Cabinet. . HD Wallpaper and background images in the hadas club tagged: dollhouse miniature miniature fairy fairy faeries fey. This hadas fan art might contain ramo, ramillete, ramillete de flores, ramo de flores, tocador, cómoda, mesa de tocador, vestir la mesa, aparador, vanidad, and mesa tocador. Oh thanks :) Fairy stuff is just plain fun to make, although messy!